Welcome to the 2nd part of Girls, Our Heroes! Interviewed is the Director, Vincent Tran – Award Winning Indie Film Maker. Answering all of our demands of “Why aren’t there any feature films about female superheroes?” Here to give us a scoop in his Comic Con hit across America: Girl of Steel. What is Girl of Steel? 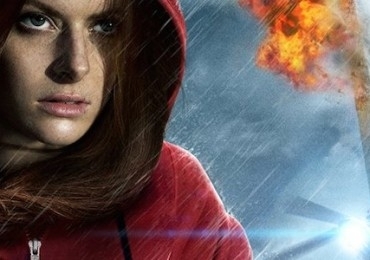 Girl of Steel is about a rebellious teenage drifter given a choice to save Earth from a threatening alien colonization. In this short film, Supergirl has an accent. Could you explain the challenge of your artistic direction with a character as legendary as her? What attracts you to Supergirl? We love transforming characters to challenge the viewer’s perception. Accents, outfits, background story are just the beginning. For the past decade, Supergirl has created a cult following in comics and film. But Supergirl was always portrayed as a visually appealing dame, rather then a respected idealist. It was our goal to bring women in a respective light, especially in the comic world. You must be proud of Girl of Steel. How many and which conventions and festivals has your film been showcased? 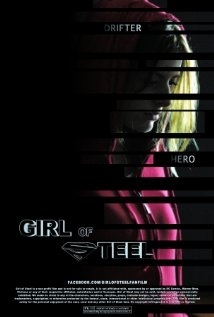 Girl of Steel *WINNER* of Superman Celebration Film Festival (2014) from vincent tran on Vimeo. As an award winning fan film, how does this make you feel as a film maker? Was it easy winning the approval of Supergirl’s fans? When you develop films from the heart, the reward comes from making a difference. Supergirl fans appreciate our film because we believe in shifting the perception of men on women. We’re dying to know, could you give us any tips your future plans for Girl of Steel? We are currently filming BATGIRL RISES, which revolves around the same universe as Girl of Steel. In the end, we like to unify many female heroes and villains as the primary focus of comic/film entertainment. Yes, we have a lot in store for 2014 and 2015. Previous Previous post: PlayStation TV.